Ramekins are must have pieces for every chef of any skill level. 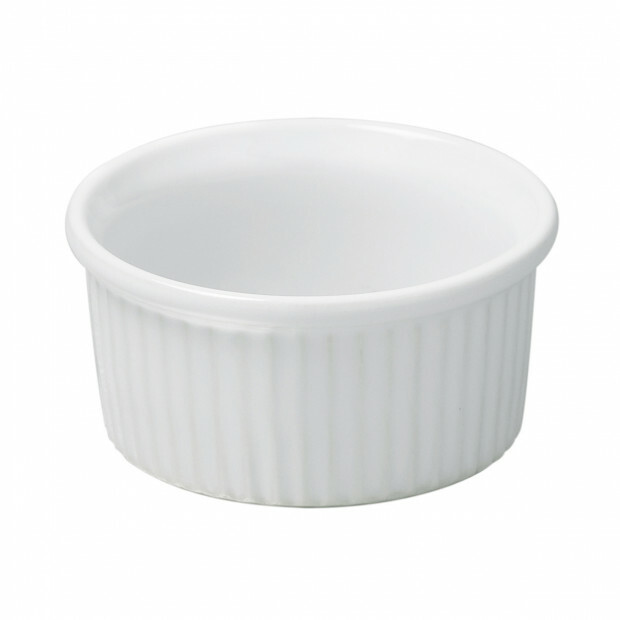 These plain white porcelain ramekins have such a classic style that they will work in any kitchen and on any table. Whether you are serving American, French, or Asian cuisine, you will get many uses out of these ramekins for both your family dinners and your healthy meals. 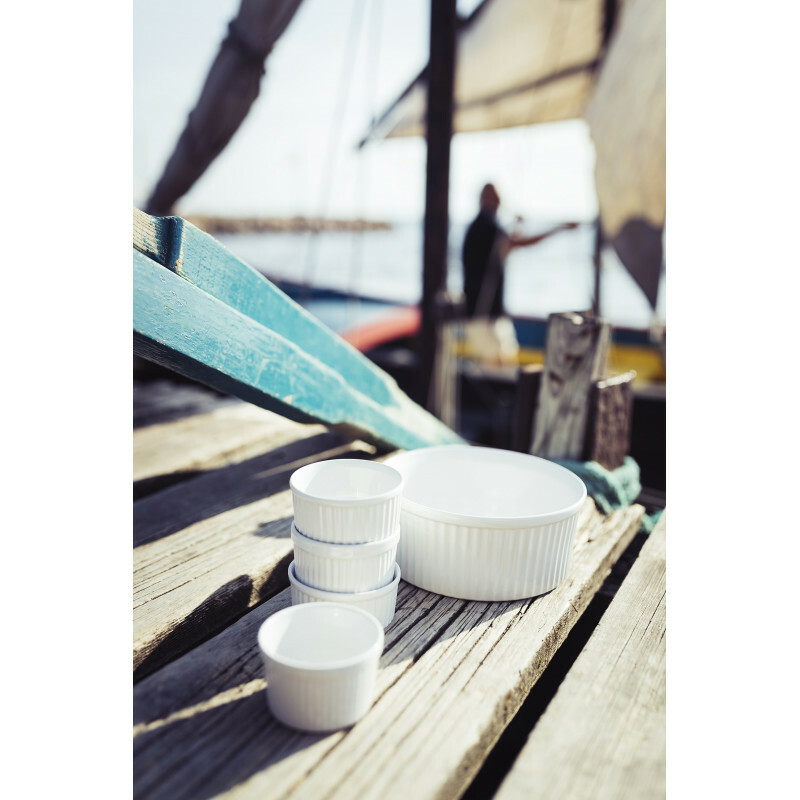 REVOL ramekins are durable, strong, and easy to care for so you will enjoy using them again and again. You can use them to bake your best single-serve recipes or maybe some pastry favorites. The glaze on the porcelain makes them shine so they are beautiful enough to pull out of the oven and serve your guests straight from the dish without having to dirty another dish. 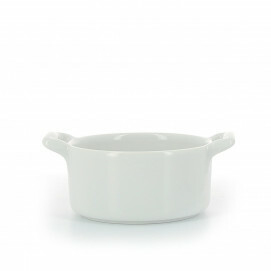 The porcelain ramekins are oven, microwave, and dishwasher safe. They are available in 2 sizes: 2.75 oz. and 6oz. This porcelain plain white ramekins French Classic perfectly fit with the burger plate Matt slate style Basalt. SERVING SUGGESTIONS: Bake and then serve single-serve dishes such as chicken pot pie or chocolate cake. The ramekins are also very helpful to hold ingredients for recipes while you are doing your prep work. They can hold small bites, condiments, and other sauces as well.